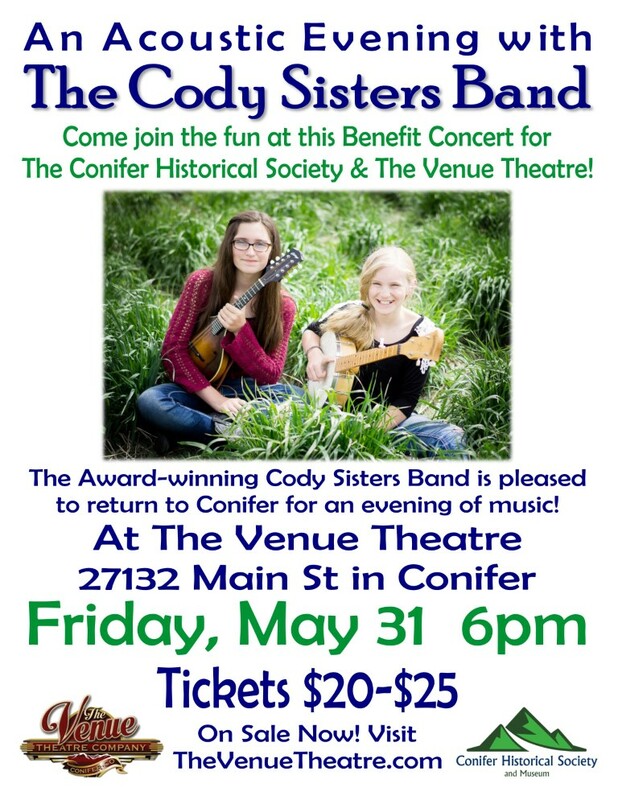 The Conifer Historical Society and The Venue Theatre Company are pleased to announce An Acoustic Evening with The Cody Sisters Band! This Benefit Concert will be May 31, 2019 at 6pm. Proceeds benefit the Conifer Historical Society and The Venue Theatre. Award-winning, delightful, funny, sweet, and super talented, The Cody Sisters are excited to return to Conifer for an evening of music. The Venue provides an intimate concert experience – don’t miss out! Kick your heels up and come out to support two local non-profit organizations. Reserved Seating! Tickets are $20-$25 and are available for purchase from The Venue Theatre.